The working principle of Sanitary Mini ball valve is to rotate the stem to make the valve unobstructed or blocked.Sanitary stainless steel Mini Ball Valves switch is light, small size, can be made into a large caliber, sealing reliable, simple structure, easy maintenance, sealing surface and sphere are often in a closed state, not easy to be eroded by media, widely used in various industries. Ball valve and plug valve belong to the same type of valve, the different in its closure is a ball, the ball around the center line of the valve body for rotation to open and close a valve. Thread ball vales are used to cut, distribute and change the direction of flow in the pipeline. Sanitary PN63 Mini ball valve male to male could be fabricated as per client's requirement and drawing. 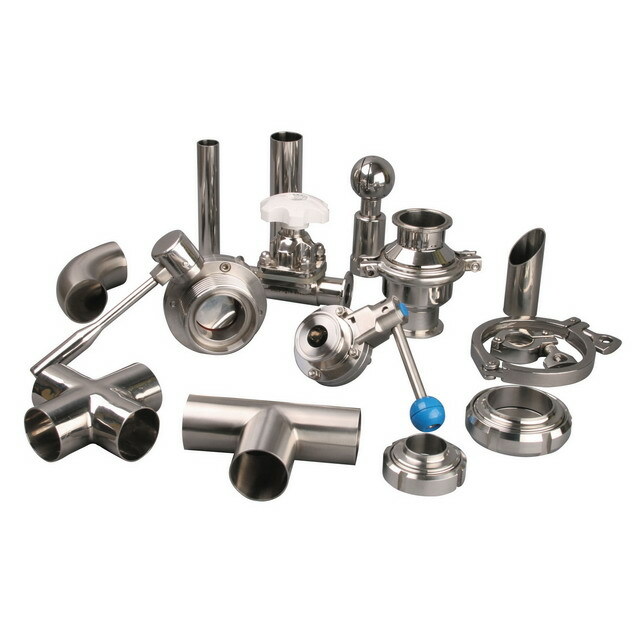 Looking for ideal Sanitary Mini Ball Valves Manufacturer & supplier ? We have a wide selection at great prices to help you get creative. All the Stainless Steel Ball Valves are quality guaranteed. We are China Origin Factory of Mini Ball Valves. If you have any question, please feel free to contact us.